I like the way this tells a complete story of a woman's struggle through out life and still keeping the rhyme scheme. Whenever I read rhyming poems of others, it seems effortless to me, although I do know it's not..you more than winged it here btw ;) and I esp like the ending. Interesting write. The worm that turned, and how satisfying that felt. She found the courage to break the chains that held her. Freedom. Great lines Lyn. Thanks so much. I appreciate. This sounds a little like a situation I am aware of the a woman facing years of abuse, not knowing what to do to end it until the opportunity comes and the world opens to show her there is life on the other side. So you are still in there writing? Yes I moved to Hello Poetry on advice, to avoid the troll who cloned my page. This one is funny and powerful at the same time. We get the picture of a woman who has been living under the thumb of a spouse/ lover for a long time. The first two verses indicate she may have sacrificed her life to further his career. At a certain point, however, she could take it no longer. She pushed "away from his table," meaning probably she left him and found her "true love." Now he is history. An interesting work; it made me wonder if it is based on real people. Thank you so much. Spousal abuse is a common theme in my work, as it is a reality in many people's l.. read moreThank you so much. Spousal abuse is a common theme in my work, as it is a reality in many people's lives, my own included. and you know I love rhymes - I wonder sometimes if i'm the only one! love should always win over hate so the end is on point and you know I love rhymes - I wonder sometimes if i'm the only one! hating wears you out, it takes so much energy, rhyming is even hard, harder still to do it well. It is sometimes as hard as trying to make someone you hate into someone you don't. Some find it easier to walk off and start with someone else. For one who hates rhymes, you've certainly shown exemplary skill at it in this rather quick-paced, jaunty bit of verse in expressing how deft you are at, not only enduring, but expelling the woes of a cad in favor of embracing the far more appealing opposite. I love a love story with a good ending … especially, one that is told in such creative poetic brilliance. 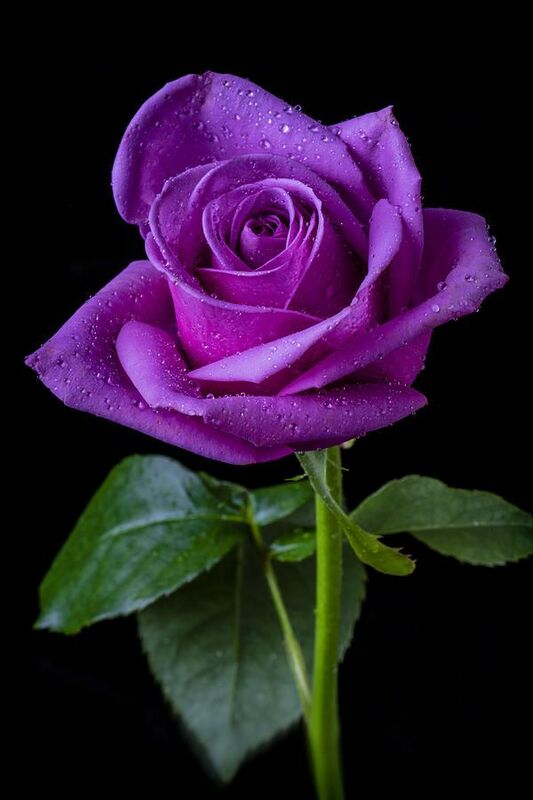 A super lovely lavender rose, with spot-on music choice, too … ummm! A Welsh form, with only four syllables per line. no less than 4 stanzas, but no limit to how many. Thanks very much, and for educating me upon stumbling upon this form. You're ever-so coincidentally welcome, Lyn. What about the review(?) … LOL! I see, Lyn … well, it was my pleasure. As you may know, I am not much for rhyme myself and always feel the need to rebel and add a final line punchline to break up the strictness of it all... But, this really works in its favour, as it is more impactful with its short and to the point lines, which makes me feel that that is indeed all the time you feel that part of the past deserves, yet with the last being a glimpse at not only making it out alive, bit of happy ever afters being improbably possible. I write under a pseudonym. I don't do Read Requests, but you can PM me if you want me to read something specific. I make friends with people who I read and interact with. I won't accept random reque.. more..
Elevant journeys of the h..